The Yankees snapped a seven-game losing streak with an 8-4 win over the LA Angels on Wednesday night, avoiding their first eight-game losing streak since 1995. The win was marked by a strong bullpen which, with the exception of Tyler Clippard, didn't allow a run. Jordan Montgomery's strong allowed for an offensive resurgence led by home runs from Matt Holiday and Didi Gregorius. New York opened the scoring in the bottom of the second inning when Gregorius hit a two-run home run off of Ricky Nolasco. The shot to right field brought in Gary Sanchez, who also had a strong game with a 2-4 showing. The Angels were quick to respond with a two-run homer of their own when Martin Maldonado took Montgomery deep to left field. 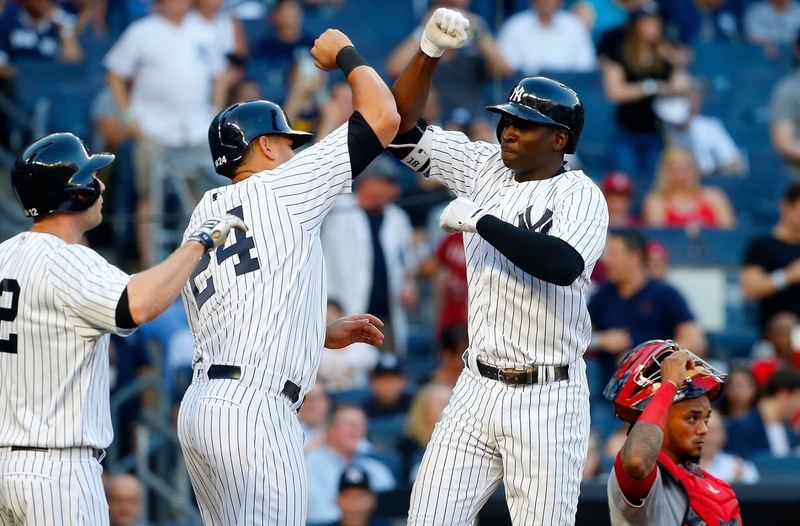 The game remained deadlocked until the fifth inning when the Yankee offense opened up. 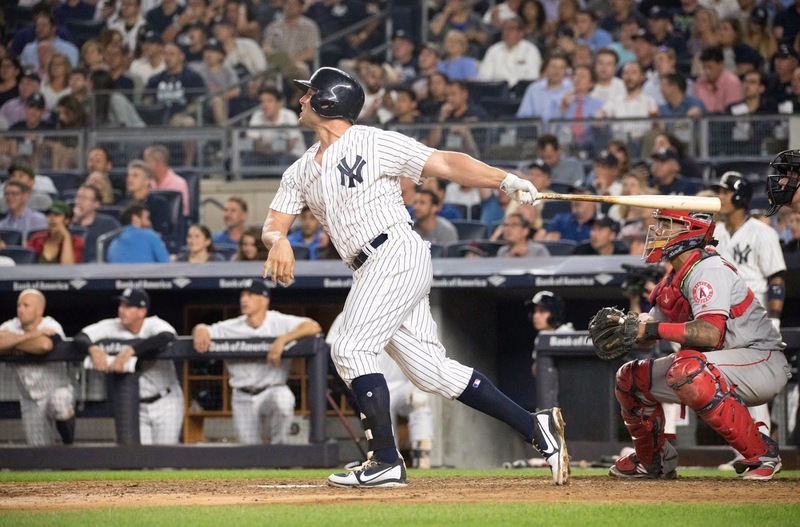 Matt Holliday put the Yankees ahead for good with a solo home run to left field in the bottom of the fifth inning. 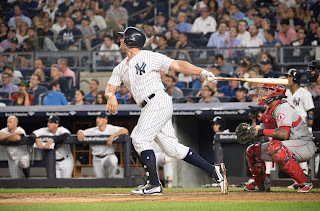 The opposite field shot was the first baseman's 15th home run of the season, and gave the Yankees the confidence that they lacked on the road last week. One inning later the team would explode for three runs. Austin Romine led the onslaught with his fourth double of the year, scoring both Sanchez and Chase Headley. The back up catcher would make his way home a few batters later as Aaron hicks would single to expand the lead. Starlin Castro brought home Holliday one inning later and then Headley would cap off the scoring for a two-run inning. From a pitching perspective, Jordan Montgomery earned the win, going 5.2 innings, while giving up five hits and two earned runs. The Yankees bullpen, which has been much maligned over the last week, came in and kept the Angels off the scoreboard until the ninth inning. Tyler Clippard, who has bore the brunt of Yankee fan frustration, gave up two runs without getting an out in the ninth inning. Aroldis Chapman was called upon to close a game that seemed far out of reach leading into the final frame. This victory is the team's first in eight games and moves them back into first place in the American League East. The Yankees will close out the series with the Angels tomorrow night at Yankee Stadium. Luis Severino is set to take the mound against Jesse Chavez in the rubber game.